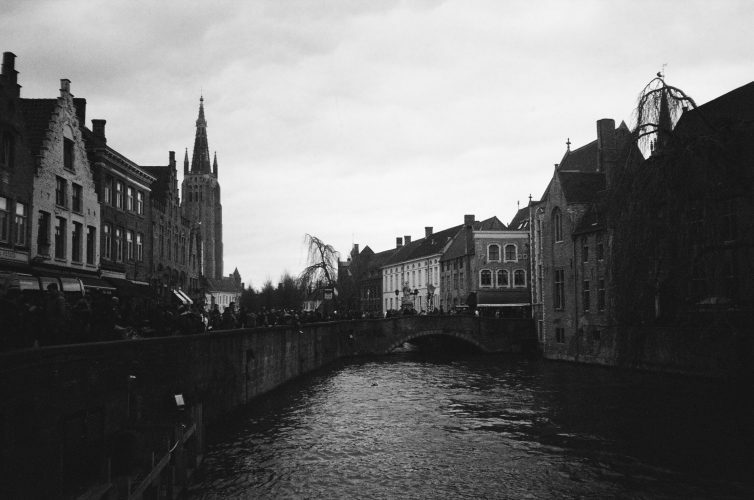 A bridge on one of the canals in Bruges. 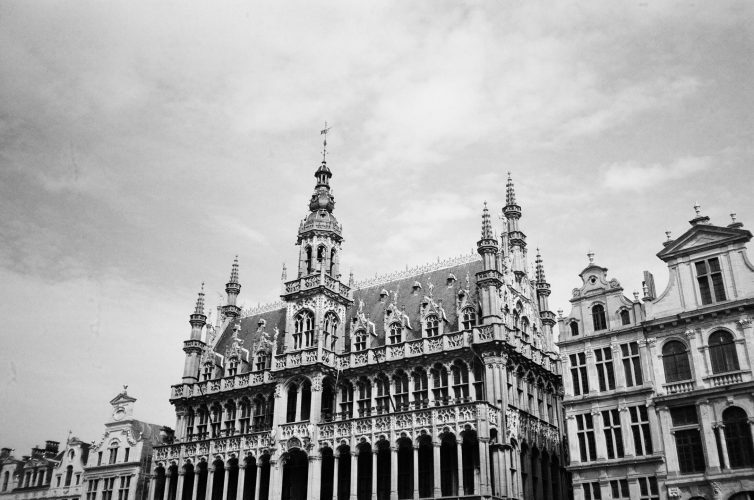 La Grande-Place in the central square of Brussels. 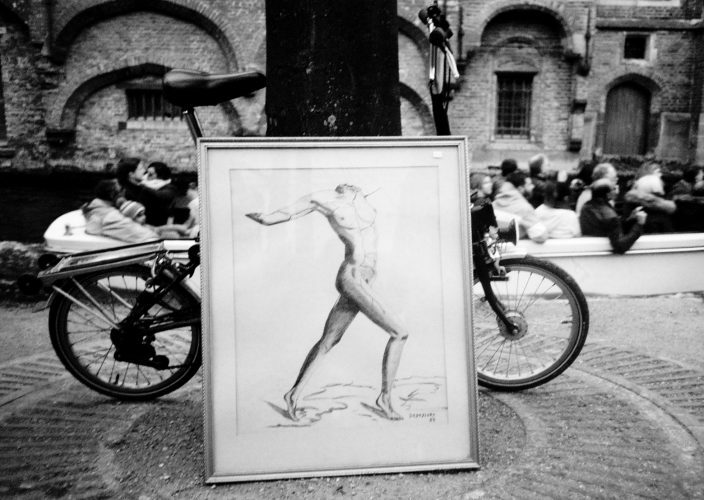 A print for sale at a canal flea market. 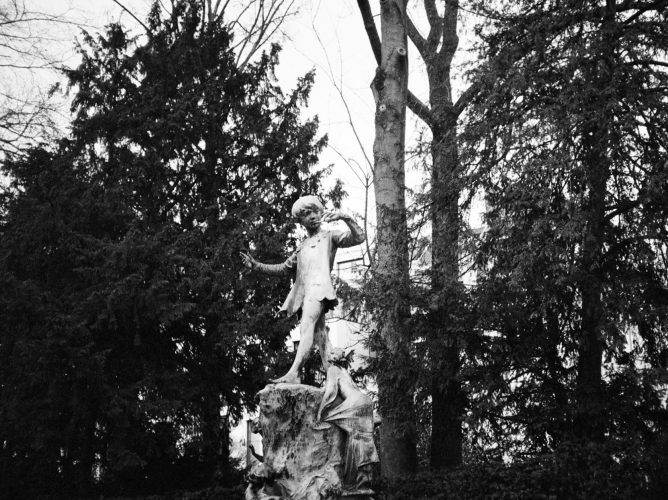 A statue of a boy deep in a Brussels park. 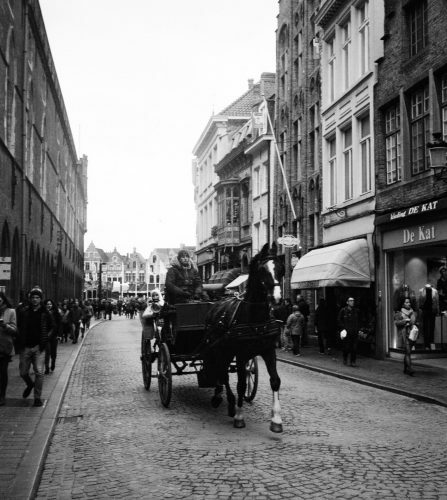 One of the Brussels’ many horse-drawn carriages. 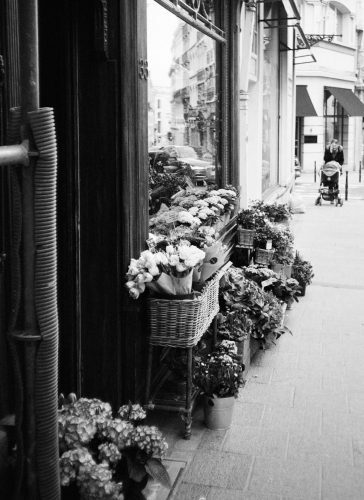 A small flower shop in Brussels.